Named for town military hero John Cusick, 1911 - 1997, a third generation Kings Parker and entrepreneurial family, this room embodies the military history of Kings Park. This room houses historic artifacts ranging from Spanish American and Revolutionary War through World War II and Vietnam. The Battle of Iwo Jima to the Coast Guard representing history and victories of past Kings Park military personnel. Amongst the military artifacts, the room is home to military uniforms, fighting equipment, war medals, letters, propaganda and model ships. 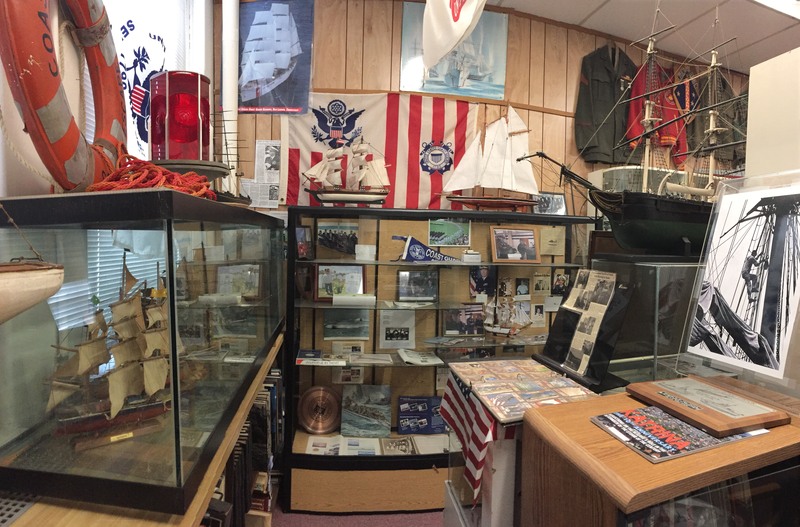 World history books, WWII army helmets and a tremendous assortment of military memorabilia are also part of this military personnel of veterans.